Restoring EU tariffs on Indica rice imports from Myanmar will have an impact on the production of only 60,000 to 100,000 tonnes of Indica rice, U Lu Maw Myint Maung, joint secretary of Myanmar Rice Federation, said. Myanmar currently benefits from the EU`s Everything But Arms (EBA) arrangement, part of the bloc`s Generalised Scheme of Preferences (GSP). The EBA trade regime gives least developed countries customs- and quota-free access to the world`s largest market for all products except arms. Italy claims that imports of Indica rice from Cambodia and Myanmar have increased substantially and that their respective EU market shares of Indica rice grew from 13pc to 21pc and from 0pc to 5pc over the last five years. The corresponding import prices were substantially lower than prices of European producers, which would have presented serious difficulties to growers and millers of Indica rice in the bloc. Brussels is currently undertaking an investigation and data collection to assess the situation, before coming to a decision soon on whether increased imports from Myanmar under trade preferences are putting EU producers under pressure and causing financial difficulties which would not have existed in the absence of those preferences. 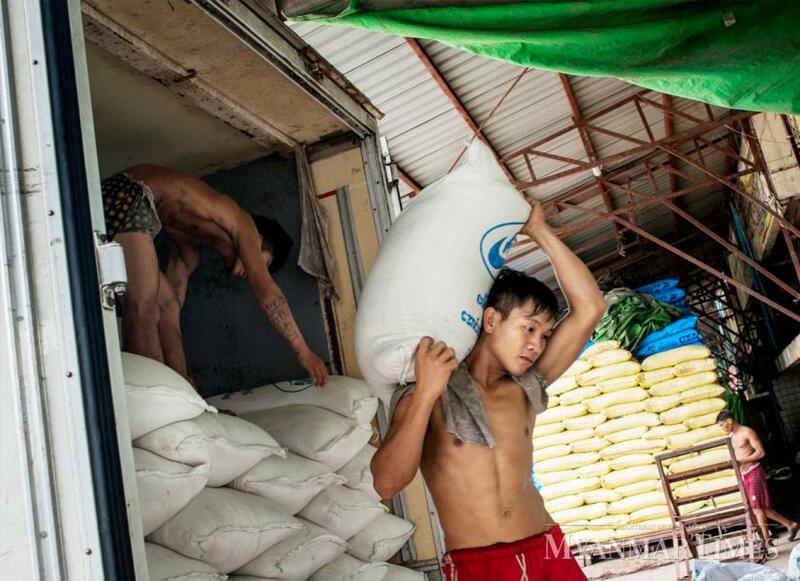 The possible reinstatement of customs duties on Myanmar rice exports is unrelated to the potential withdrawal of Myanmar`s trade privileges due to rights violations in northern Rakhine, according to a spokesperson of the EU Delegation to Myanmar. Myanmar exported at least 300,000 to 500,000 tonnes of rice (including Japonica rice and Indica rice) and broken rice annually. Among these different types, at least 60,000 to 100,000 tonnes of indica rice are exported to the European market, U Lu Maw Myint Maung said. About 100,000 tonnes of Indica rice exports to the European market will be affected, he added. The rice federation and Commerce Ministry have submitted a letter in defence of the exports. If the investigation establishes that EU producers are injured, it could result in the reintroduction of tariffs for Indica rice from Myanmar of up to €170/per tonne. Rice exporters said the impact on the rice industry as a whole will be limited if tariffs on Indica rice are restored. U Nay Lin Zin, a rice exporter, said that only a small sector of exports to the EU market will be hurt. In 2013, the EU reinstated GSP for Myanmar as a means to provide political, economic and social support to help the country move towards democracy. The bloc is currently the sixth biggest trading partner for Myanmar. Total trade between the two partners equalled €2.09 billion in 2017. The EU imported goods worth €1,55 million from Myanmar and exported goods worth almost €539 million to the frontier market. EU imports from Myanmar are dominated by agricultural products and garments. Myanmar exported over 3 million tonnes of rice in 2017-18 fiscal year.